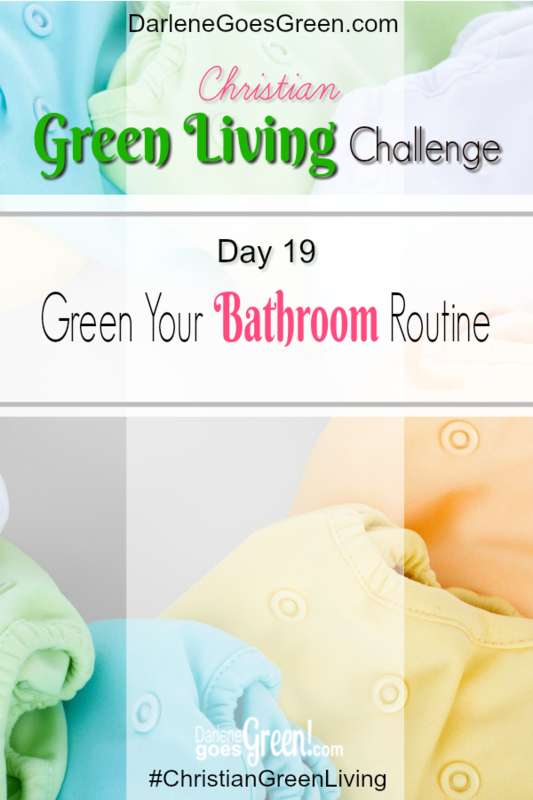 “Thank you for committing to this 30 Day Christian Green Living Challenge with us! 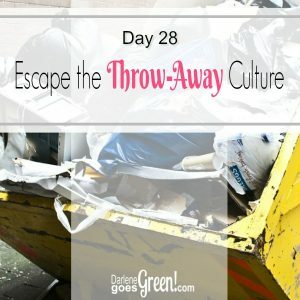 Each day as we step through our journey, I’ll share the challenge for the day then, depending on your green goals, I will share resources where you can learn more, dig deeper into the topic, or challenge yourself even more. 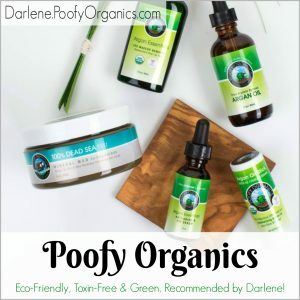 We will do the challenge once *live* together, but you can participate anytime by joining in on the comments below and by using the hashtag #ChristianGreenLiving. So, when you’re ready, let’s Go Christian Green! Do you have a compost bin or back yard pile? I’m still new to it, but after building a simple pile structure behind our shed last year, I find it very rewarding. Once I learned how landfills work, I will feel so much better when I throw an apple core into my compost pile instead of the trash! It’s amazing to me how simple it is to compost our food scraps, garden plants, and yard waste. When we properly layer them and turn the pile, within weeks we can actually see them break down and return to the earth as God planned it! 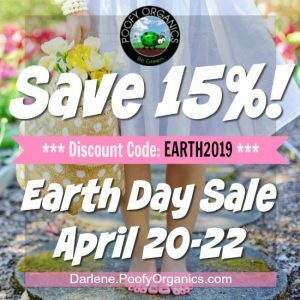 By composting our own food scraps and yard waste, we can not only keep them out of the toxic-garbage landfill, but we can reuse them by allowing them to break down naturally and create incredible nutrient-filled soil for our garden and landscape plants. I used to think that composting was hard. It’s not, you just have to know the rules. And I used to think you have to have a big yard to compost. You don’t, you just have to know the best method for you. I used to think that getting started with composting is expensive. It doesn’t have to be, you just have to be informed and creative! 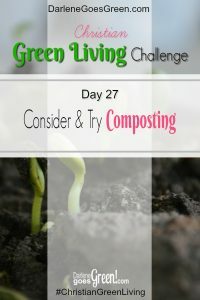 Have you tried composting? Did you know you can compost if you live in an apartment or only have a small yard? Today let’s pray a prayer of thanksgiving for God’s incredible plan. May he help us to better understand nature and how we can participate in his plan for all living things. If you haven’t tried composting, read some of the articles below and get to know your options. 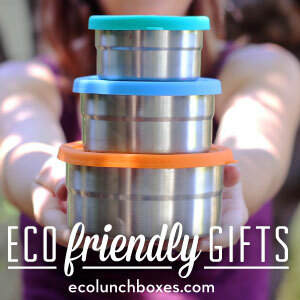 Consider trying composting this summer and make a plan. 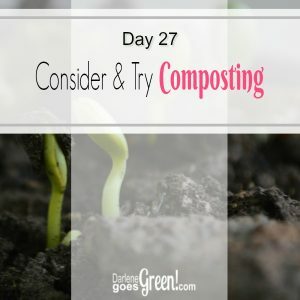 If composting at home really isn’t an option for you, find a local compost facility and see if you can somehow contribute. Many local facilities will accept yard waste, Christmas trees, and other organic materials. Does the idea of compost sound great, but you don’t think it can work for you? Or, do you have an awesome compost pile and want to share your insights? Share your thoughts by commenting below and/or using the hashtag #ChristianGreenLiving.